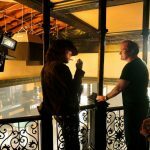 A batch of new images have been revealed for Once Upon a Time in Hollywood and they show our first look at Margot Robbie as Sharon Stone, as well as Quentin Tarantino on set. The film features a great cast that additionally includes Kurt Russell, Dakota Fanning, Brad Pitt, Al Pacino, Leonardo DiCaprio, James Mardsen, Bruce Dern, Michael Madsen, Tim Roth, Timothy Olyphant, Damian Lewis, Lena Dunham, Emile Hirsch, Luke Perry, Scoot McNairy and James Remar. And breathe. 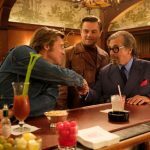 Once Upon a Time in Hollywood will be set against the backdrop of the infamous Charles Manson murders and will focus on characters around LA in 1969. 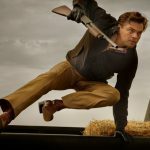 The main events of the film will follow Rick Dalton (DiCaprio) and Cliff Booth (Pitt), stars of a Western TV series, as they struggle to make it in Hollywood. Tying the film’s story to the Charles Manson murders comes with Rick living next door to actress Sharon Tate (Robbie). 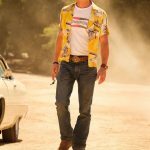 Once Upon a Time in Hollywood will be released on 9th August 2019.